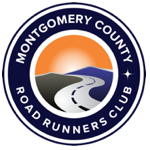 The investment account was created to provide a permanent resource to help sustain the mission of the Montgomery County Road Runners Club (MCRRC). The account will incorporate features that allow flexibility in response to the ever-changing needs of our work. The investment policy will consider not only short-term cash needs and cash flows approved in the annual operating budget, but also longer term needs. The policy will be administered with the goal of earning a reasonable return on MCRRC’s funds without undue risk. To keep at least half a year’s annual budget in reserve in case of emergencies. If circumstances allow, this figure could grow to a full year’s budget in reserve funds, but never drop below the half–year goal for more than one budget cycle when funds were required for emergencies. To use reserve funds for any unbudgeted emergency expenses, with the approval of the Board. Unbudgeted emergency expenses could be, for example, unanticipated breakdown of race timing devices, replacement of unrepairable or unsafe truck or van, uninsured disaster expenses, or other such unanticipated emergencies or equipment replacement. Balances in Reserve Funds at the half-year budget level are not to be drawn down for equipment upgrade or other desirable but non-essential purchases that should have been anticipated in the budget. To preserve any annual cash flow surpluses against major cash flow shortfalls in the future. Annual cash flow surpluses, budgeted or unbudgeted, should be transferred to the Reserves to replenish the fund for any expenditures previously made on an emergency basis that drop the balance below the goal level and to provide growth toward the long term goal of a year’s budget in reserve. If the Reserves grow to equal a full year’s budget or more, the Board may on a case by case basis resolve to draw out funds for enhancements of the Club’s mission as long as the withdrawals do not bring the balance below the goal minimum above. The Finance Committee will be responsible for overseeing this Investment Policy and Guidelines. The Finance Committee will make investment recommendations within the parameters of this Policy and Guidelines as established and reviewed on a periodic basis, reporting to the Board at least semi-annually. The Treasurer and the Operations Director will facilitate the initiation of investment transactions in line with the strategy approved by the Board of Directors. The Finance Committee will not invest assets in venture capital companies nor in securities of companies which have not been in existence for a sufficient period of time to develop a track record allowing a prudent investor to determine their probable worth. No investments will be made in letter stock, private placements, short positions, margin positions, commodities, oil and gas exploration contracts, or any other speculative investment. There will be no concentration of more than 5% in any one industry segment in equity funds. Funds chosen for investments should have lower costs and higher returns in comparison to other funds with similar investment styles. It is recognized that most index funds have low costs. It is expected that the Finance Committee and Board members may not always be sophisticated in investments. Therefore, it is preferable to choose Exchange Traded index funds (ETF’s) for most investments, so that returns will at least be in line with the market. Warren Buffett was one of the first to say in the 1970s that, except for a few outstanding mutual fund managers, the indices generally outperformed managed mutual funds. The Finance Committee and the Board recognize that capital markets are dynamic and any statement of guidelines and objectives prepared at any one time may not be totally appropriate, applicable or meaningful at various times in the future. Moreover, the portfolio mix will fluctuate as the markets fluctuate, and therefore, the portfolio mix may fluctuate outside of the guidelines set forth herein on a short-term basis. Whenever the Committee believes that a particular guideline is too liberal or too restrictive, or should be altered or deleted, it is the responsibility of the Committee to initiate contact with the Board of Directors. The basic allocations will be 25% stock or stock funds to 75% bond funds or fixed income securities., including cash and CDs. It is understood that these allocations may fluctuate by as much as 10% in either direction in times of market volatility. In case of prolonged imbalance from the chosen allocations, funds should be rebalanced to the basic allocations. The shares of small- and mid-cap stocks or stock funds will comprise no more than 15% of the equity holdings (or about 4% of all holdings). The benchmark for large cap equity holdings is 85% of all equity holdings (or about 21% of all holdings). Up to 15% of the equity investments (aggregate of small-, mid-, and large-cap stocks) may be invested in international stocks (about 4% of all holdings). Fixed Income holdings will be laddered according to maturity and according to expected needs. If it is expected that the Club will need funds from reserves within a short period of time (1 year, for example), short or ultra short fixed income holdings should predominate in the allocations. If, however, needs are not anticipated for a longer term (5 years or more, for example), fixed income should be laddered to include a balance of intermediate and long term maturities as well as short term. Cash reserves (0-6 months maturity, mostly CDs) will normally not exceed 50% of Portfolio Assets over an extended period of time, subject to any conflicting requirements to maintain sufficient liquidity to responsibly maintain operating requirements. The aggregate balance of checking accounts, savings accounts, money market deposit accounts, and time deposit accounts such as certificate of deposits held at any one financial institution will normally be less than the FDIC insurance limit (which is $250,000 as of May 2011). Any payment for expenses by transfers, checks or cash greater than $1,000 will require prior authorization by at least two of the above officers. Such authorization can be given via a duly signed written requisition order or by two signatures of officers on a check. The account signatories and corporate resolutions on file with financial institutions must be changed within 45 days after the change of any person in the offices above.